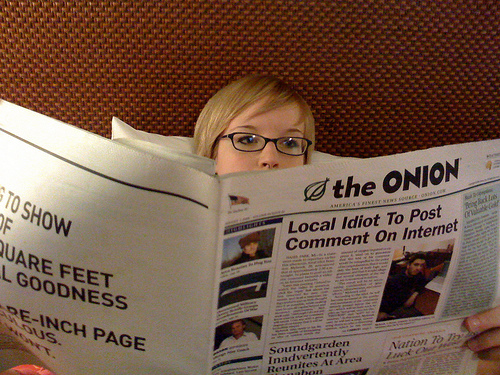 According to SFist, it looks like the print version of the Onion may stop publication in San Francisco. We can only assume that means no more print Onion for Berkeley, not to mention the rest of the Bay Area. But you might already be getting all of your biting political commentary online, anyway—and that won’t change anytime soon. Le sigh. And we were so enjoying the Wednesday night BART ride.